This beautiful coaster measures 6″ (15cm) in diameter. 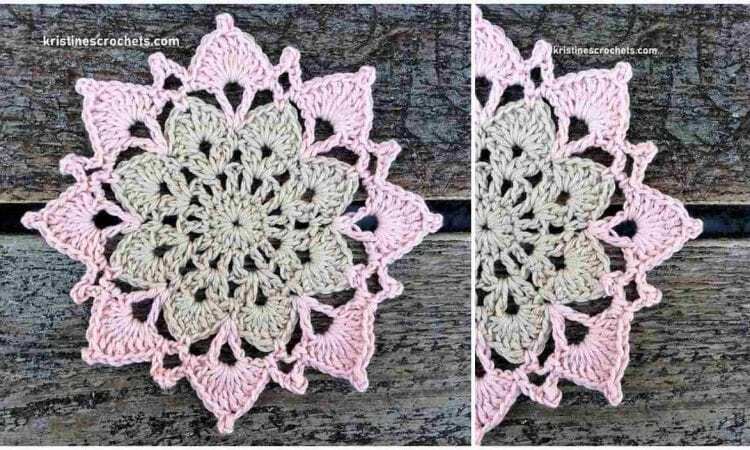 This is a very easy project to make, if you carefully follow the English video tutorial below; a free pattern will be displayed on the screen simultaneously. It’ll be great as a table decoration, especially as a matching (or contrasting!) set. Enjoy!